For those in the U.S., Happy Thanksgiving weekend! I hope that your turkey wasn't too dry, and that there aren't more leftovers than you can stomach! I've been out of town this week, celebrating the holiday with friends, which does solve the leftover problem. We don't have any, and since we're flying we can't be asked to take any home. We get to see friends and family-of-choice, so I call this a win! But there are always books on my stack. Even if I haven't picked up anything new this week, there are always things on my "comfort reads" shelf that come out whenever I need a break, or a pick-me-up or a guaranteed good read. I love the Cat in the Stacks series. Hope you have a great week! OOh nice! 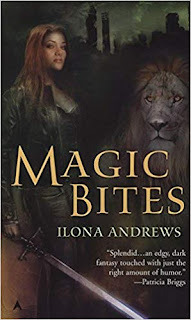 I love the Iron Druid Chronicles, though I am still very behind in it! I started them when they first started but seemed to fall behind once they turned hardcover! But I still have them all to read! Lol! Hope you enjoy all the new reads! I have Hounded too. I really want to start this series! Have a great week! I bought Hounded on audio and have to listen to it still. 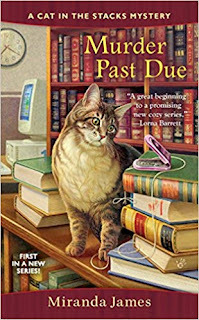 I need to try the Cat in the Stacks series. One of my go-to comfort series is Agatha Raisin by M.C. Beaton. Happy Thanksgiving! 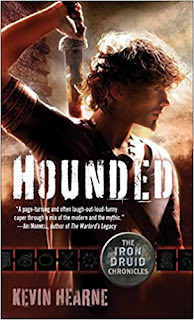 I picked up Hounded from a library sale a few months ago, just haven't gotten around to reading it yet. I like to have the whole series when I start to rea or I'll end up loosing my stride with them. 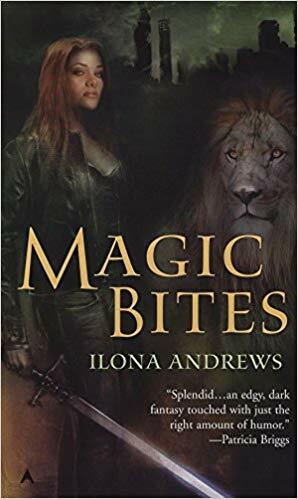 Literally fell in love with Ilona Andrews' work this week, so I'm going to have to check out the series you recommend here!